Shocking Garden Environment Inspired by Tim Burton's "Frankenweenie"
NEW YORK, July 10, 2012 -- HGTV has collaborated with Disney to create a garden inspired by Tim Burton's "Frankenweenie," a stop-motion animated feature film that was filmed in black and white. The event will take place at Comic-Con International, the largest comic book and popular arts convention, where the Hilton San Diego Gaslamp Quarter lawn will be transformed into a 3,500 square-foot HGTV Electrifying Garden from July 12-14. Open to visitors between 11 a.m. and 8 p.m. PT, the exhibit will showcase the beauty of black and white with more than 20 dark plants growing amid low-lying fog, pet tombstones and other striking oddities in the pet cemetery-themed garden. 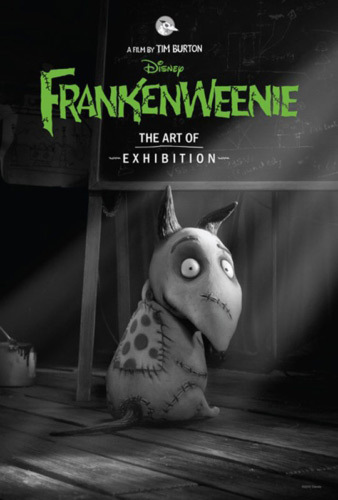 BURBANK, Calif., June 11, 2012 -- Walt Disney Studios announced today that they are launching a touring exhibition featuring the art of Tim Burton's "Frankenweenie," the acclaimed director's stop-motion, animated feature film releasing on October 5, 2012.